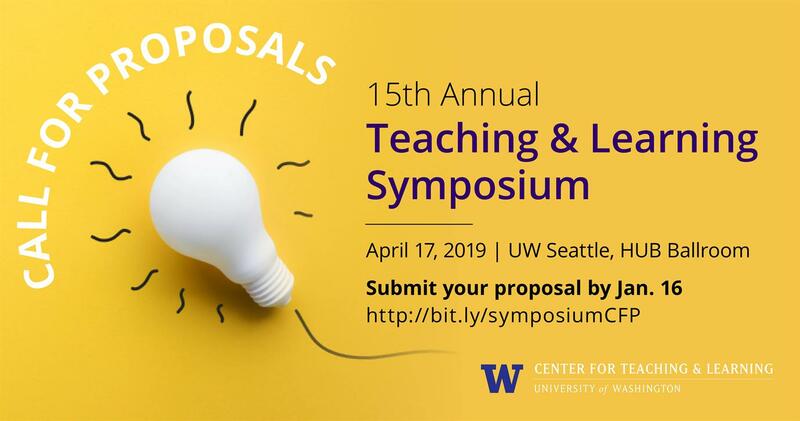 UW faculty, staff, and graduate students are invited to share their innovative teaching practices or research on evidence-based methods at the 15th Annual Teaching & Learning Symposium (April 17, HUB Ballroom, UW Seattle). The Symposium is designed for interactive presentations on effective teaching practices and methods—whether it is work you have done in the past or are in the process of implementing. Promote innovation and collaboration in teaching. Submit your proposal by January 16!